If by weird landscape, or play or just obscure then I would have to say Sky Realms of Jorune. But if by weird as in "what the hell were they on?" then that has to go to Alma Mater. Written and illustrated by Erol Otus this game has gone into RPG infamy. So yeah I had to pick up a copy. 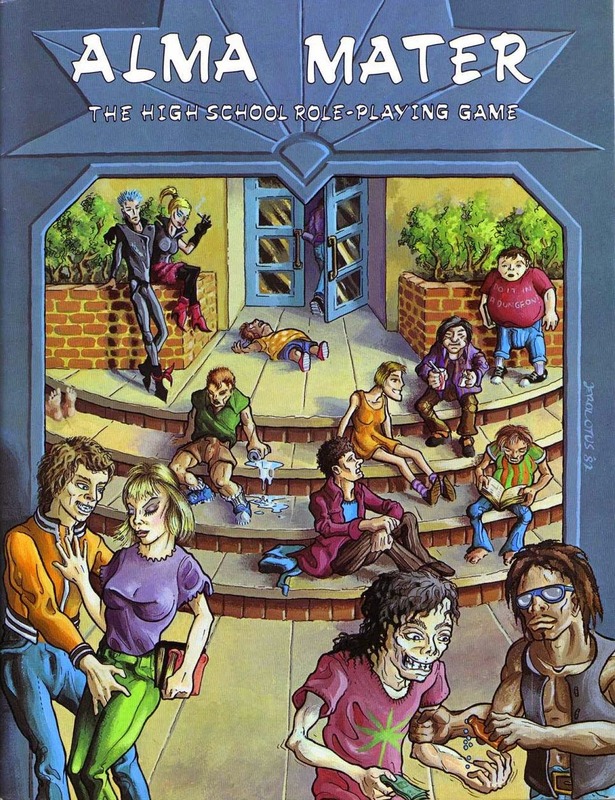 The premise is simple, it is a high school role-playing game for people still in high school. But any relationship it has with reality ends there. It is sub-par even by the standards of the 80s. The system is clunky and combat takes a long time. If you love Erol Otus' art then there is something to love here. The game itself is like someone took the Ramones Rock & Roll High School and mixed it with The Warriors movie and every other violent high school stereotype from before the Great John Hughes High School revival.